Fela Kuti lives on. AIDS awareness organization Red Hot has partnered with cross-genre collaborators representing rock, hip-hop, Americana, and classical for the release of Fela Kuti compositions on Red Hot + Fela. 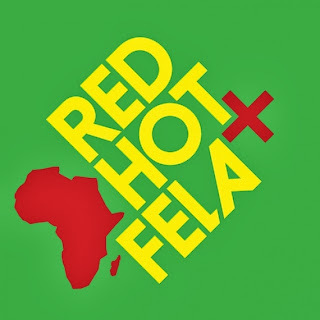 The album features classic Fela anthems like "Lady" recorded by tUnE-yArDs, Questlove, Angelique Kidjo, and Akua Naru, "ITT" by Superhuman Happiness, "No Buredi" reimagined as an electro-house track by Nneka, Sinkane, Amayo, and "Afrodisco Beat 2013" by Tony Allen, M1 + Baloji. It also includes cover versions by Spoek Mathambo, Brittany Howard (from Alabama Shakes), the Kronos Quartet along with TV On The Radios' Kyp Malone and Tunde Adembimpe, and many more. Thanks for bringing our attention to this. I'm so grateful I had the opportunity to see Fela so often when I lived in London. It's very appropriate that there is a Red Hot compilation honoring him.